Black PowerFilm 34675 USB Charger is very ultra compact, ultra lightweight and yet very durable, the PowerFlim USB and comes with a AA Solar Charger is ideal for everyday use and outdoor use like camping and hiking.The USB + AA Solar Charger charges most small USB devices. 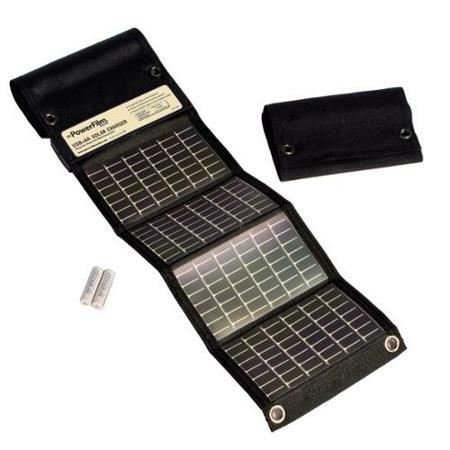 Ultra compact, ultra lightweight and yet very durable, the PowerFlim USB + AA Solar Charger is ideal for everyday use. The USB + AA Solar Charger charges most small USB devices.